Romanian carmaker Dacia has unveiled an updated Duster soft-roader ahead of its public debut at the Frankfurt Motor Show next month. It has been revised to encompass more “emphatic 4×4 design cues,” says Dacia. The Dacia Duster facelift looks to be a minor nip and tuck job, mainly involving a redesigned front end. There’s now a new grille with two chrome strips and a more prominent air intake, while the fresh ‘double-optic’ headlamps now sport LED DRLs. Round the back, the new model is touched up with a more generous use of chrome on the lights and exhaust pipe. Elsewhere, it gets revised roof bars with slatted supports, 16-inch ‘Dark Metal’ alloy wheels and repositioned badges. This styling revision will only affect the Duster’s left-drive markets for the time being. Dusters with the steering wheel on the right side are only built and exported from Chennai, India, and Autocar UK reports that it’ll have to wait till 2016 to get the updated version. If the Duster looks peculiarly familiar to you, that’s because the recently unveiled 2013 Nissan Terrano is a light re-skin of the Dacia SUV. Also built in India, there’s a chance that either the Terrano or Duster might be introduced here, with the latter badged as a Renault if it does. What say you – would you prefer the Dacia Duster or Nissan Terrano? The front really looks like it belongs to a class or two above. Well done Dacia. The Dacia version is easily the most attractive one. 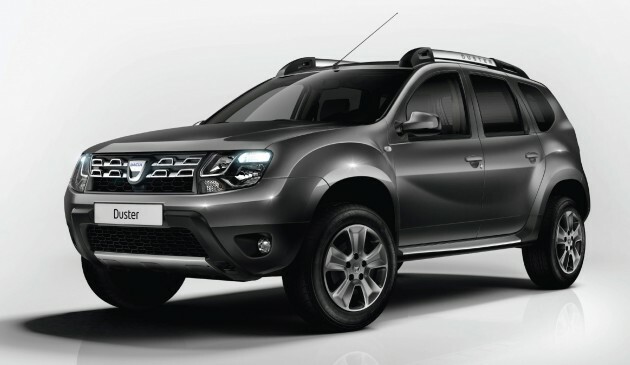 The Renault Duster looks a bit hideous, the Nissan Terrano is ok, but nowhere near as cool as the Dacia. Oh well. 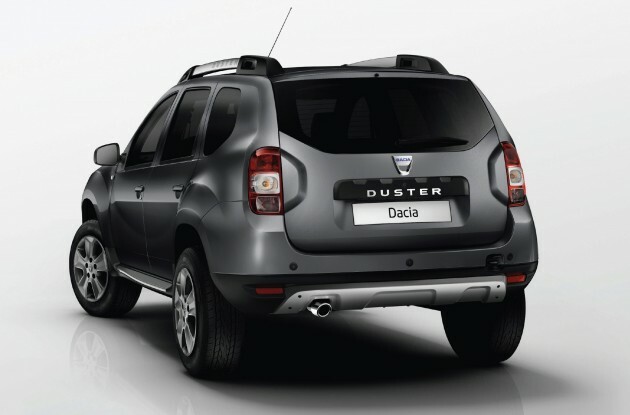 when is the dacia duster as shown at Frankfurt being sold in England??? ?